We continue to receive 12 hrs of daily generation on the Little Red River. 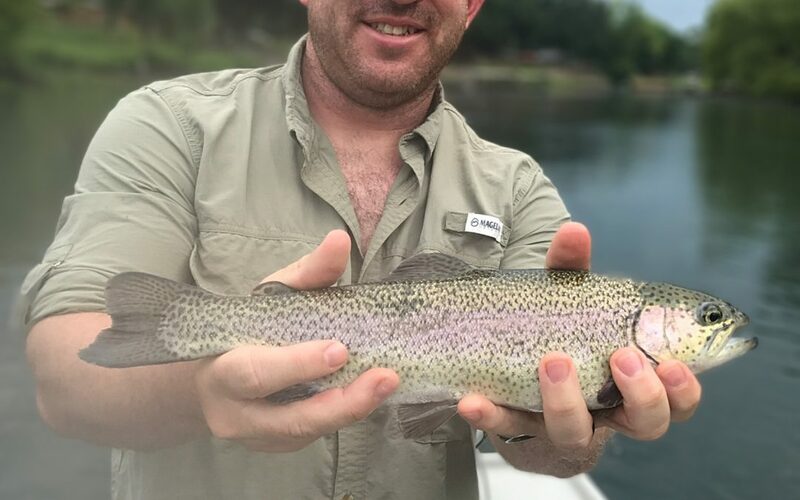 This generation schedule is providing excellent wading conditions on the upper sections of the river early in the day and on the middle and lower sections later in the day. With the water release of two full units of generation, the river will rise quickly. So if wading, be observant of changing water levels and be aware of your surroundings for your safety. This generation schedule also is providing excellent drift fishing. For fly fishing, we recommend sowbugs, midges, gold ribbed hares ear and streamers. Red and Bison colored Trout Magnet bodies on chartreuse heads are recommended for spin fishing. Always check before heading to the Little Red River by calling the Corps of Engineers Little Rock District water data system (501.362.5150) for Greers Ferry Dam water release information or check the Corps of Engineers website (swl-wc.usace.army.mil) for real time water release and the Southwest Power Administration website (swpa.gov) to see forecasted generation schedule.